(Nanowerk News) When it comes to designing and optimizing mechanical systems, scientists understand the physical laws surrounding them well enough to create computer models that can predict their properties and behavior. However, scientists who are working to design better electrochemical systems, such as batteries or supercapacitors, don’t yet have a comprehensive model of the driving forces that govern complex electrochemical behavior. 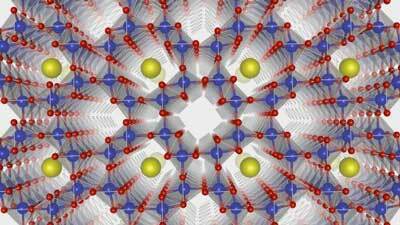 After eight years of research on the behavior of these materials and their properties, scientists from the U.S. Department of Energy’s (DOE) Argonne National Laboratory, DOE’s National Renewable Energy Laboratory and the University of Colorado-Boulder have developed a conceptual model that combines existing theories to form a more general theory of electrochemistry that predicts previously unexplained behavior (Advanced Functional Materials, "The Unified Electrochemical Band Diagram Framework: Understanding the Driving Forces of Materials Electrochemistry").